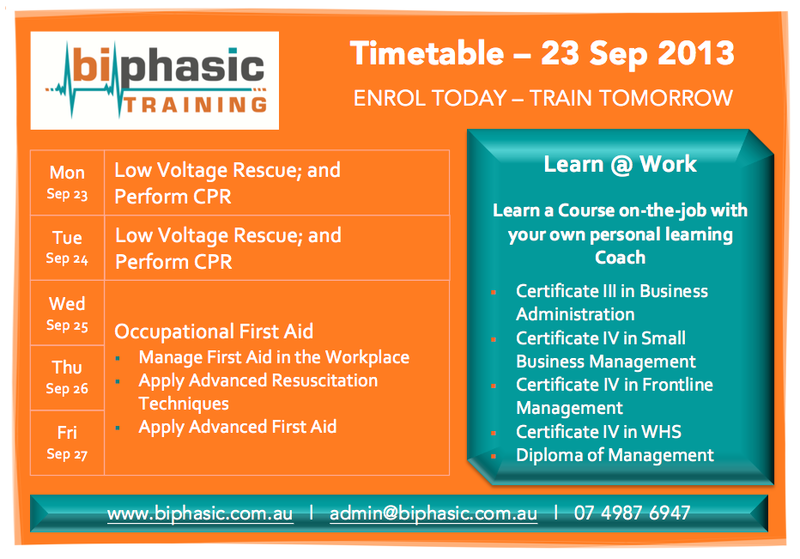 ENROL TODAY, TRAIN TOMORROW — Biphasic Blog 'BIPHASIC' ...first aid training when YOU need it !!! Learn @ Work - Learn your Course on-the-job with your own personal learning Coach. Contact Biphasic Training today and secure your training place. Posted on September 19, 2013 by Paul Turner.